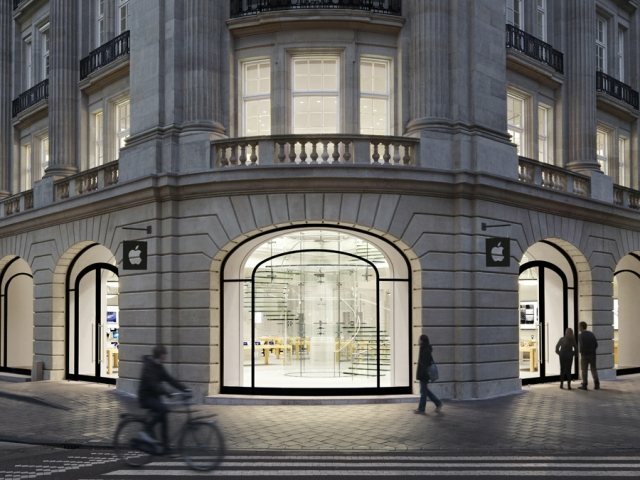 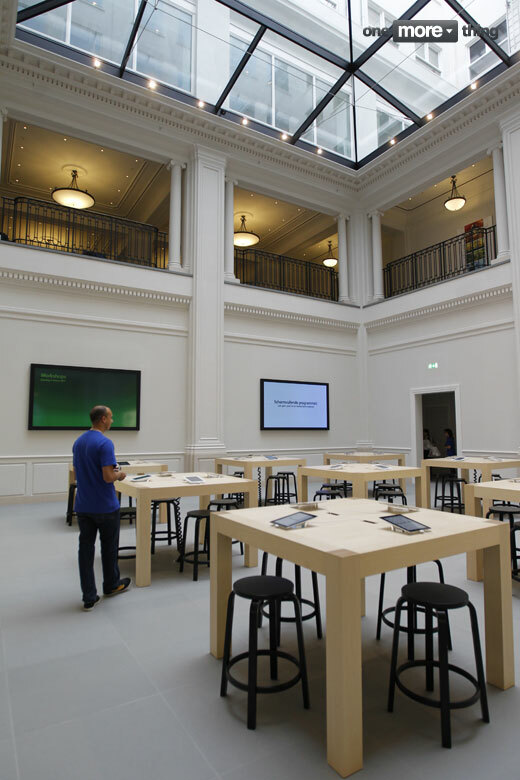 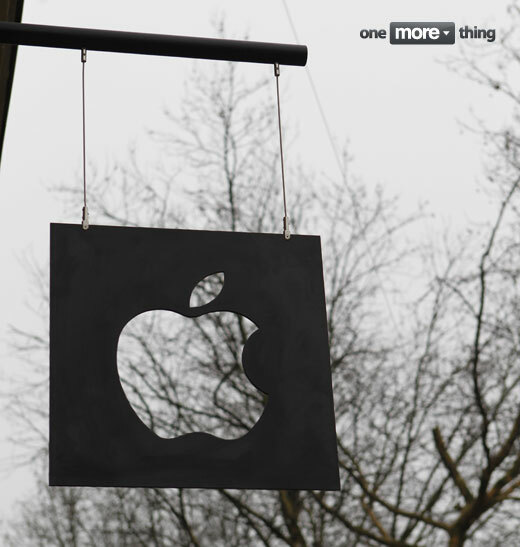 The Netherlands’ first Apple store has taken seed in Amsterdam’s historic Hirsch building, wrapped around the corner of the city’s famous Leidseplein square. 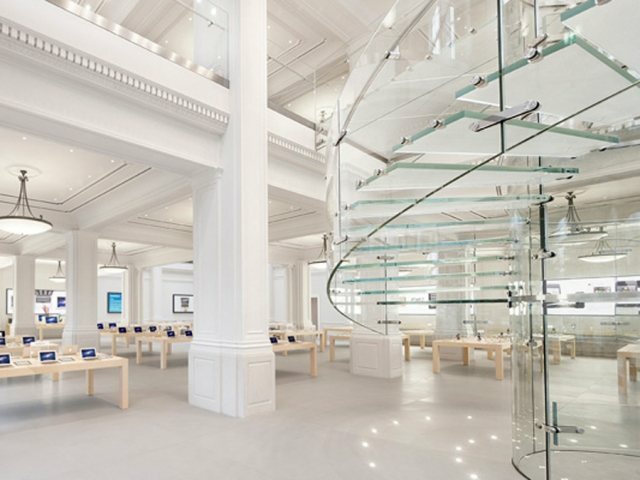 Sleek new technology is almost outshone by a glittering glass staircase in the store’s centre. 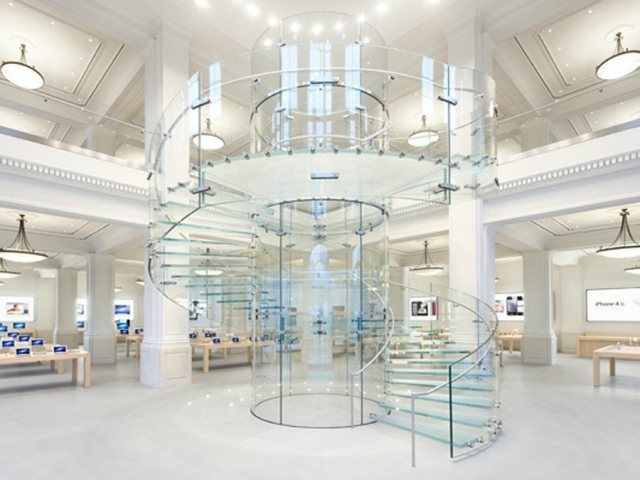 Transparent steps spiral around a large centre column, reaching up to a ring of brilliant lights. 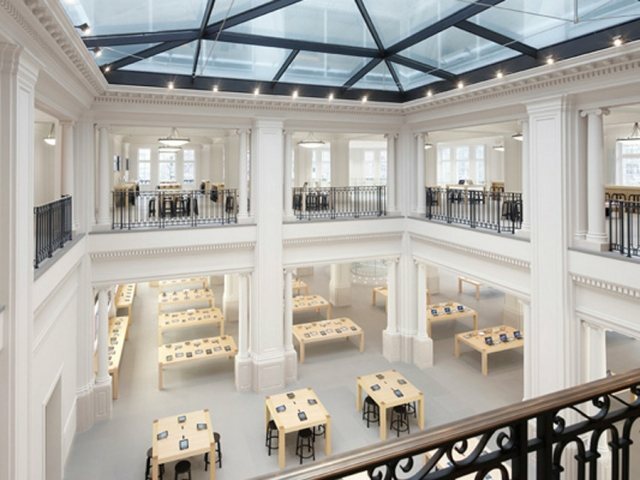 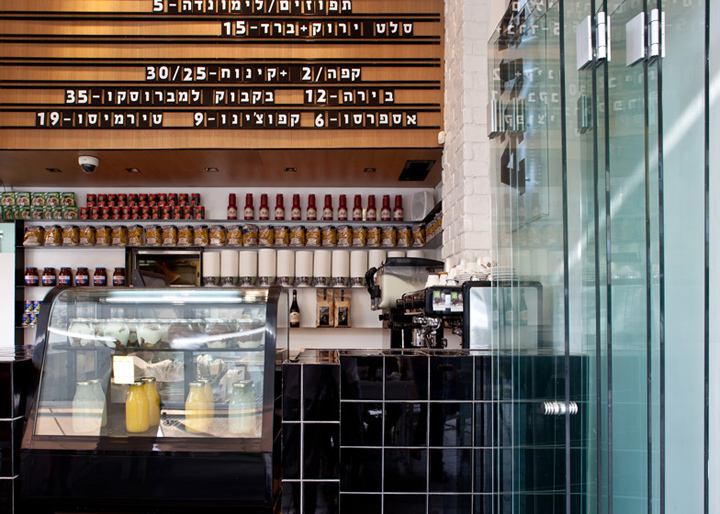 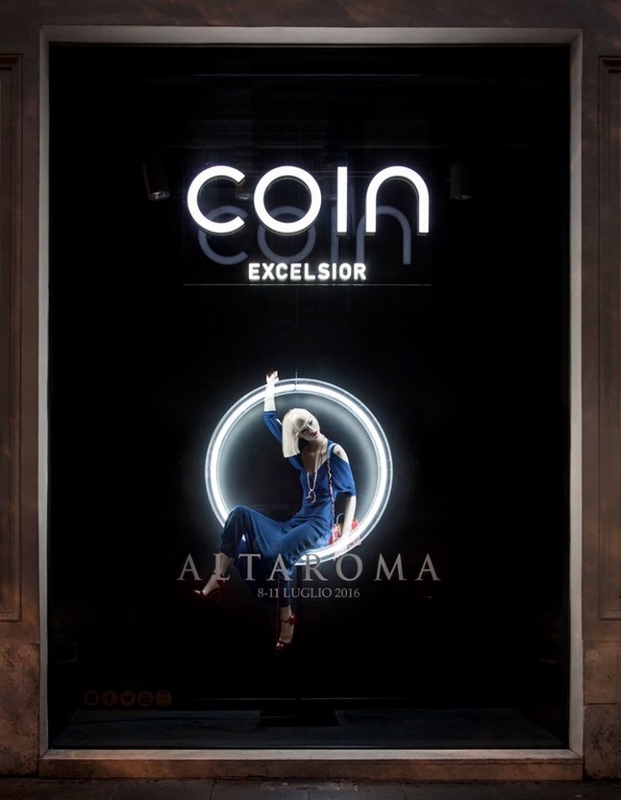 The store’s open, airy concept is achieved with an atrium stretching from the ground floor to ceiling, allowing customers to overlook over the store from wrought-iron balconies upstairs. 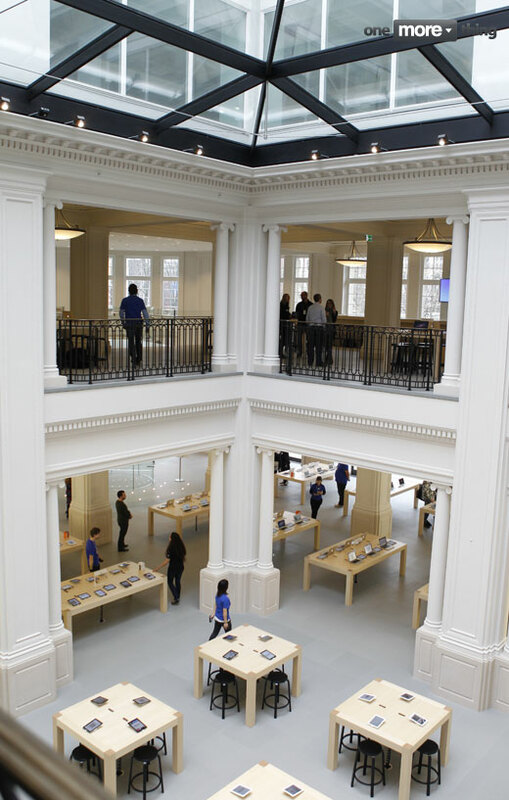 The bright white walls and large skylight bring light inside even on the gloomiest of Dutch days. 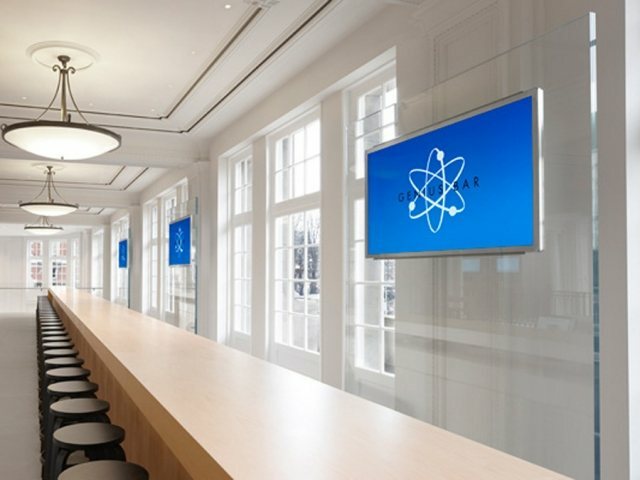 The upper floor features the world’s longest Genius bar which has seats for over 20 visitors, and more tables with laptops and other new gadgets. 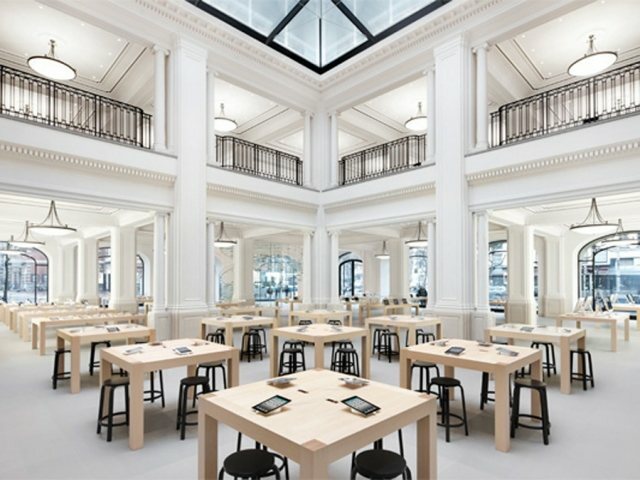 The ground floor is a grid of birch tables and standard black stools. 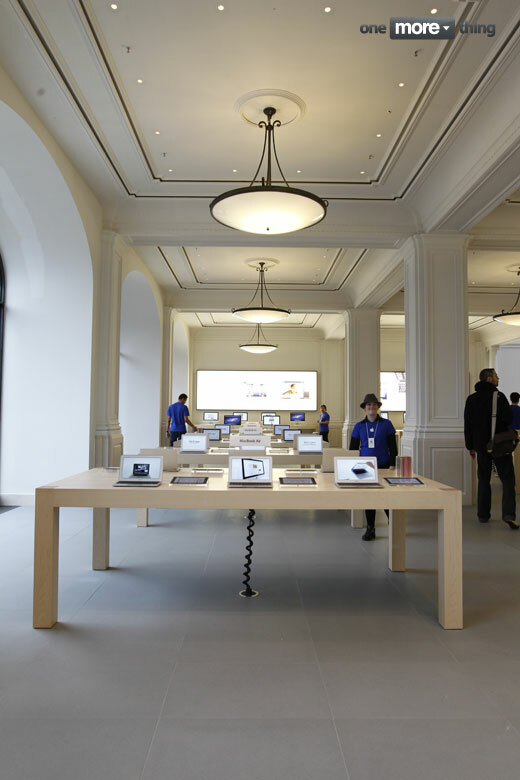 As with other Apple stores, the products are liberally displayed for customers to test out.